I don’t think there are many who don’t know who Dwayne Johnson aka The Rock is. Every WWE fan knows him by the name of The Rock and the Hollywood movies fans know him as Dwayne Johnson. Undoubtedly he is one of the best WWE Superstars, or in simple words, he is no less than a legend for the WWE Universe. After proving his mettle in the wrestling world, he moved towards films, of course Hollywood films! And we surely can’t deny that he has reached great heights in that industry as well. May it be his acting skills or his physique, he has used everything he has to become a great actor. With most of his films being economic grosses, there are many which are critically acclaimed as well. And surely we are well aware how much the critics matter for a film’s success. Incidentally, many films of Dwayne “The Rock” Johnson are critically acclaimed. A really nice film to watch if you are bored of watching some old time horror or comedy or romance ones, and want some action in a film of the same age. 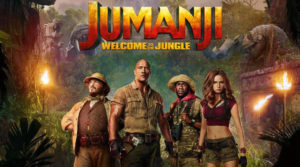 The plot is all about Dwayne’s restaurateur-turned-“retrieval expert” Beck who has been given the task to bring a mobster’s son back home from the Amazon. Going there he gets involved in a fight with a local town operator and teams up with the one he had been assigned to bring home to find a legendary and ancient treasure. Go watch it. 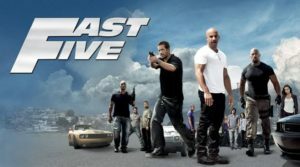 Don’t tell me you haven’t watched any part of this Fast and Furious series. If you have not, I request you to go and start with the first one and then come to this sixth flick. 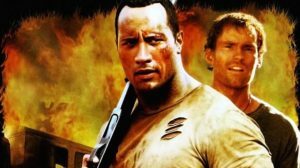 In this one, Dwayne’s Luke Hobbs is a criminal tracker who has been tracking a former militant Shaw to destroy his evil plans. On his way, he summons Dom (played by Vin Diesel) and his crew to help him. In return, he promises pardon to Dom and his family from all the charges. But, little did they know that Shaw is much more clever and cunning than they thought. That’s it. Gi watch the rest of the story yourself! Fast and Furious? Once again? Yeah. Perhaps one of the most critically acclaimed film series. Thus one makes to the list as well. 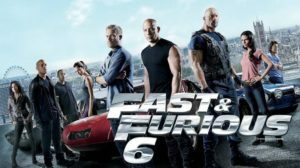 The fifth flick of the series shows Brian O’Conner ( Paul Walker) hooked up on the wrong side of the law when he is accused of murdering several policemen. He thus escapes to Brazil with Dom ( Vin Diesel)and his girlfriend Mia and hides. There they take up the charge of pulling off a heist of ten million dollars. But their heist becomes difficult when a skilled agent Luke Hobbs is sent to chase and capture them. Read More: BoxOffice: Disney’s Ralph Breaks The Internet collects $22MN on Friday! Okay, let’s move on from the F and F series now. Let’s see something different. This one is again based on crime and action. Walking Tall tells about a former U.S Army special forces member who returns to his hometown to fulfil his childhood dream of working in a mill. But he finds out that everything has changed and that his town is now a home to all types of crimes and drugs dealing. Now his town’s sheriff, he goes out with his deputy to bust some evil heads. No no! It’s not a part of the Fast and Furious! This one is something different. Thus one again involves crime and investigation. 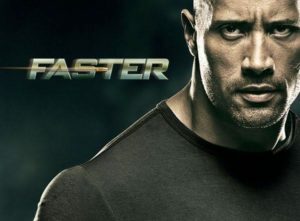 But it has a great story and some nice acting by Dwayne Johnson and his co-actors does the rest of the job. 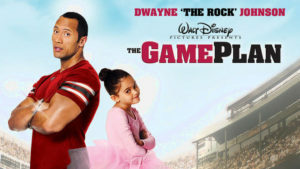 According to the plot of the film, an ex-con Driver (played by Dwayne) is released from prison and he seeks revenge from those people from hid lady who he thinks have betrayed him. He makes everyone play for their sins. But he soon comes to know that he is being followed step by step by a hit man and also a female investigator. Can he survive and finish his job? I don’t know. Go watch the film. umanji was a film which came in the early 20s and was able to impress people. The second instalment, Welcome to the jungle shows four teenagers who come to play a video game getting sucked up into the game itself. The only way to return to the real world is to work as a team collectively and complete the game. But, fir this, they have to go on the most dangerous mission of their life, failing to complete which would lead to all of them getting stuck in the game forever. Now we have something different from crime and action and adventure. Like the name, the film is satisfying to watch with your family. In the plot, Joe Kingman is a huge football star who has name, fans, money, girls and a bright career. Everything was going right until a small girl steps on his door one day and tells him that she was his daughter from a past relationship. After confirming that she’s right, a successful football star fails miserably in parenting. The girl has some near death experiences with him and this her aunt takes her away. Joe feels alone, and during his injury, his daughter comes to help him go to the field again. So these are some top critically acclaimed movies of Dwayne “The Rock “ Johnson. Trust me none of these will either bore you or will give you a feeling that you have done a mistake by watching it. Go watch all of them or those which you haven’t seen till now. Pingback: Spider-Man: Into the Spider-Verse Review – A Mindboggling Story of the ‘Spider People’, That Leaves You Asking For More!